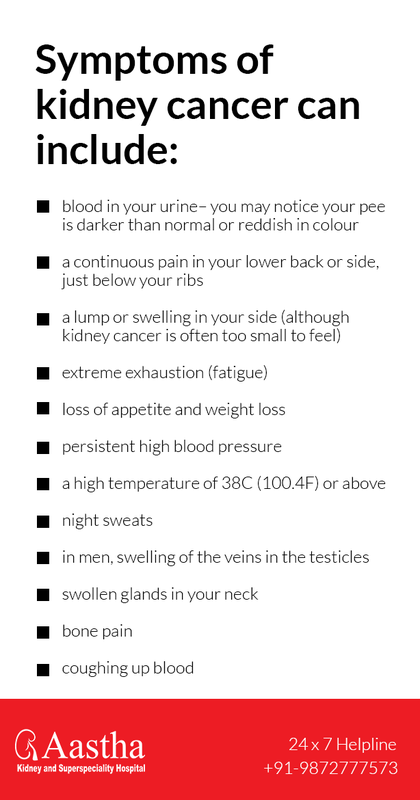 What are the different types of Kidney Cancers and their symptoms? Renal or kidney cancer usually affects adults in their 60s or 70s with very rare cases of people having this cancer under the age group of 50. This cancer can be cured if it is timely diagnosed at the very early stages. 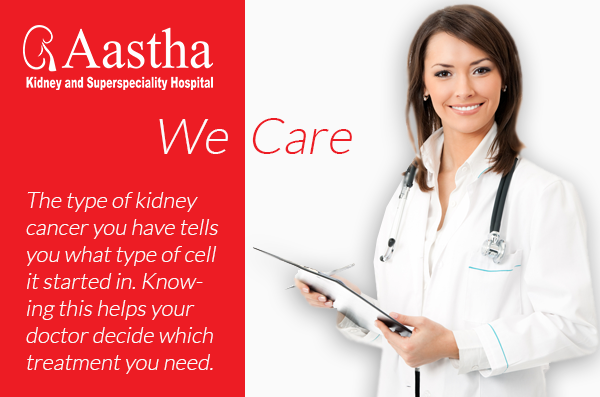 However, it is not possible to cure it if it has reached a stage where it has spread beyond the kidney. This cancer starts to grow in the lining of the tubules which filter the blood to make urine. Tubules are the smallest tubes inside the nephrons. Other rare types of renal cancer include carcinoma of collecting ducts and renal medullary carcinoma. The transitional cells that make up the lining of the renal pelvis, ureter, bladder and urethra have a special ability to change shape and stretch when urine flows in or out through the genitourinary tract. This cancer rarely begins in the kidney or the ureter. It most commonly occurs in the bladder. This tumour affects children. During pregnancy the kidneys develop early on and sometimes cells that were supposed to transform into mature kidney cells fail to do so, staying altogether as very immature cells. In most cases these cells mature by the time child is 3 or 4 years old. But in certain rare cases these immature cells fail to turn into mature kidney cells. These causes these cells to go out of control leading to cancer known as Wilms’ Tumour. Ever thought a Kidney Stone can be removed without making even a single cut in the body?